Tragically, it is not usual for heart attacks, which are otherwise known as myocardial infarctions, to happen at work. And when they do, people often wonder if their jobs caused or contributed to the heart attack. The Miami Herald recently reported that the coworkers of a 61-year-old man who suffered a heart attack on the job that he later died from allege that the heart attack was caused by his job. They assert that the company they work for at MIA provided poor work conditions, including being forced to skip safety protocols and use dangerously broken equipment, and that these conditions resulted in the man’s fatal heart attack. Can Workers’ Compensation Be Obtained For a Heart Attack in Florida? 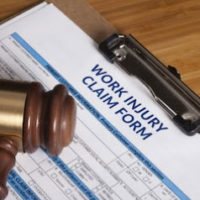 While it is possible for heart attacks to be covered by workers’ compensation in Florida, obtaining compensation for this kind of claim under the workers’ compensation system has always been more difficult than for other conditions that are more obviously work connected, such as a broken limb. However, difficult does not mean impossible, and an experienced workers’ compensation attorney can evaluate the circumstances of your heart attack and advise you regarding the possibility of you obtaining benefits. What Affects My Ability to Obtain Benefits? The preliminary, and most important question is whether you had a preexisting heart condition as this determines the type of evidence that is required to prevail. If you already had a preexisting heart condition, you can typically only obtain benefits if you were subjected to an unusual strain not routine to the type of work you were accustomed to performing before the heart attack happened. However, in Zundell v. Dade County School Bd. it was established that claimants who do not have a preexisting condition only need to show that the event was caused by any amount of exertion. But the problem is that many times for heart attack victims, preexisting conditions exist. And that halts the possibility of obtaining workers’ compensation benefits. What Other Factors May Be Considered For My Heart Attack Claim? The detailed facts are very important in any attempt to obtain benefits for a heart attack. There are a number of factors that can increase the risk of heart attack including hypertension, high cholesterol, smoking and obesity. There is a good chance that your employer and the insurance company will rebut your claim by arguing that your heart attack was caused by one of these factors and not by the work that was being done. Yes. Under Section 112.18 of the Florida Statutes, there is an exception that creates a rebuttable presumption of occupational causation for disabling heart disease for certain police officers, firefighters, and correctional officers who meet certain prerequisites. Heart attack investigations and cases are complicated in Florida Workers’ Compensation claims, but not impossible to prove. We understand the challenges offered by difficult cases involving serious injuries and complex issues and can help you ensure that you obtain all the benefits you are entitled to while you focus on restoring your health. The experienced Miami workers’ compensation attorneys at Payer & Associates will help ensure that you maximize your entitlement to workers’ compensation benefits. Begin by contacting us today to schedule a free consultation.